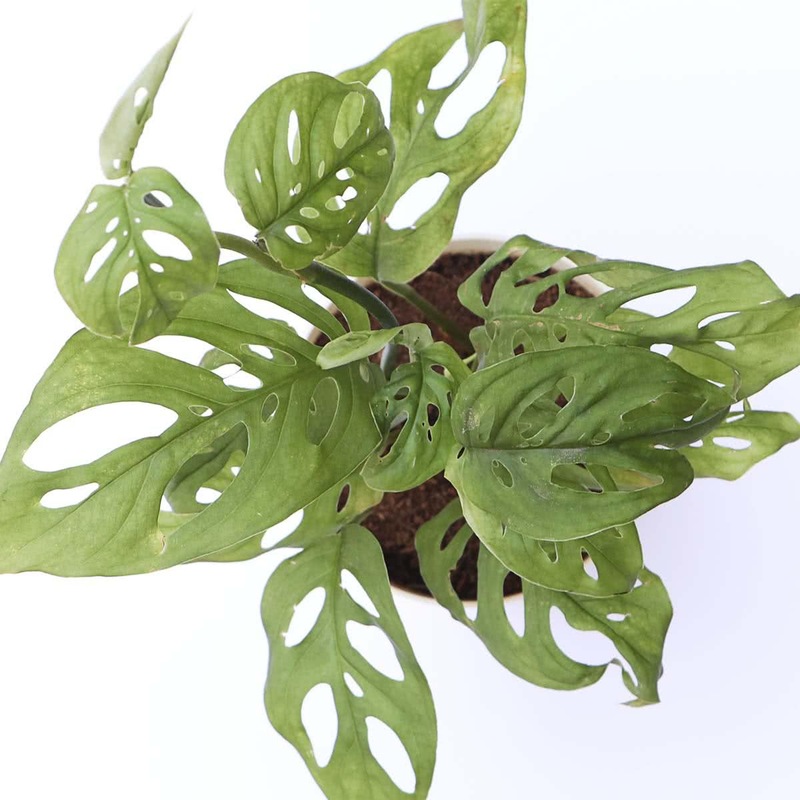 Plant Description: Philodendron Broken Heart is an evergreen, attractive houseplant. It is an indoor climber with ornamental, foliage. The plants large, dark, heart-shaped, leathery leaves with a pattern of holes on the leaf blade makes it look unique. The plant is perfect for moss sticks and dark patches in the garden. 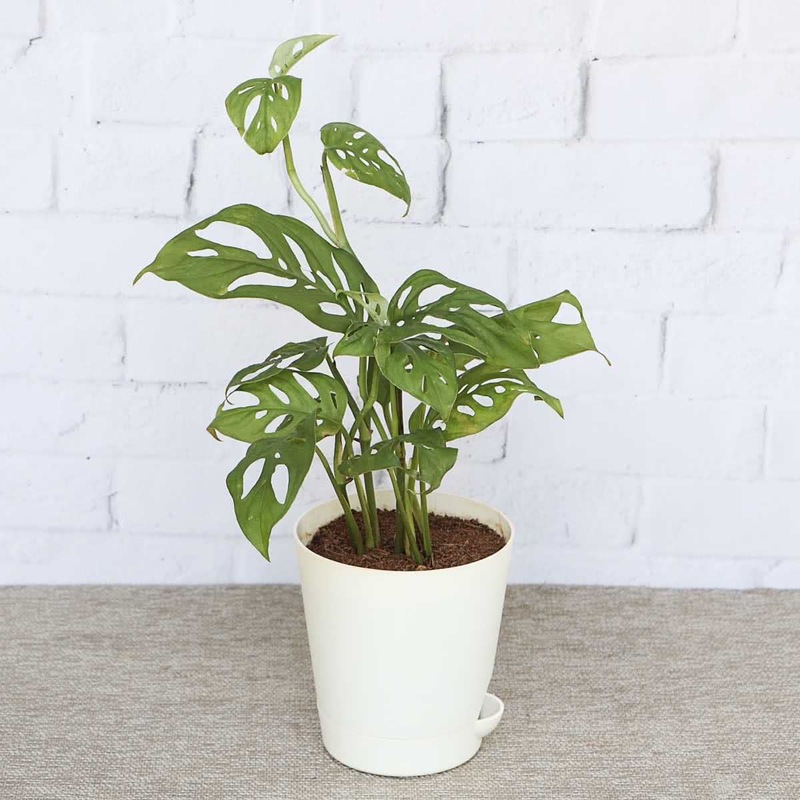 Average Landscape Size: As a ground-cover, grow Philodendron Broken Heart at a distance of 2 x 2 ft.
Pot Size: For Philodendron Broken Heart use 12 to 16-inch pot with moss stick at the centre. Potting/Transplanting: Transplant the Philodendron Broken Heart sapling in a pot along with root-ball of the original soil. Carefully place the Philodendron Broken Heart plant in the middle of the container & cover the roots completely with remaining soil. Repotting: Change the pot every year. Use bigger sized pot every time you re-pot the Philodendron Broken Heart plant. 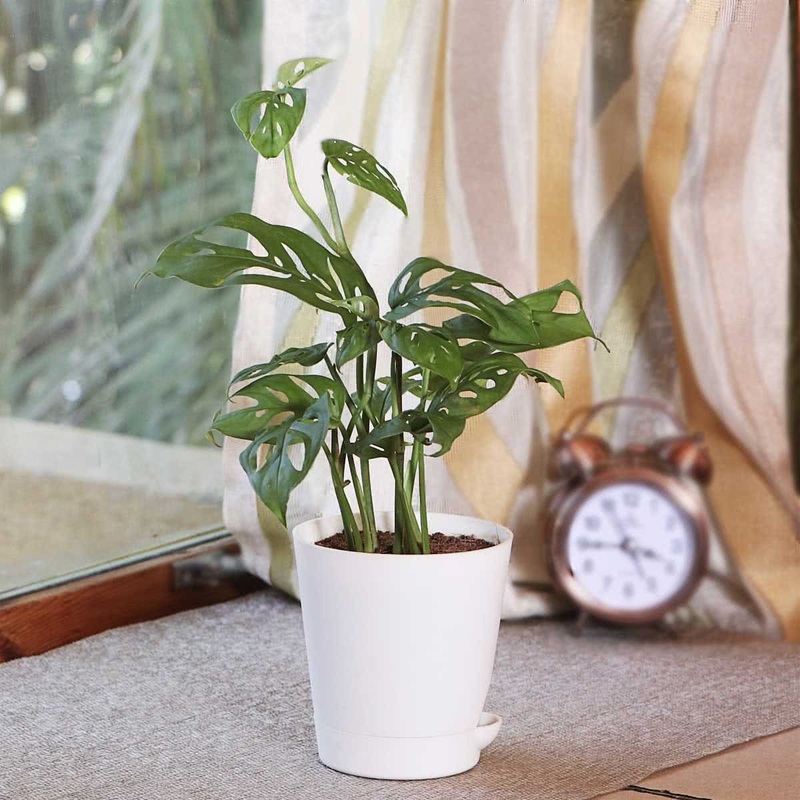 Sunlight: Philodendron Broken Heart can grow in full shade (indoors) or partial sunlight (outdoors). Direct sunlight will burn the foliage & stunt the growth of the plant. Water: Philodendron Broken Heart must be kept well watered throughout. Maintain the soil evenly moist, but allow it to dry out between waterings. Fertiliser: Add rich compost & well rotten cow dung while potting the Philodendron Broken Heart plant. Temperature: Philodendron Broken Heart prefers pleasant warm temperatures. Its minimum temperature requirements are 15 degrees Celsius. Pruning: Train the Philodendron Broken Heart climber to grow on a moss stick by cutting off the unwanted growth every three months. Propagation: Philodendron Broken Heart can be propagated by stem cuttings, air layering, or by offset.